Super7 Florida will be hosting a shindig to help commemorate the holiday and celebrate the arrival of the new Mummy Gator in his first colorway. 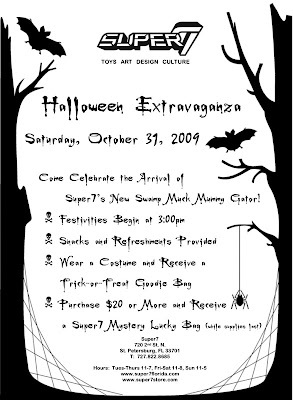 Festivities will begin at 3 p.m. on Halloween day, snacks and refreshments will be provided. Those who arrive in costume will receive a special Trick or Treat goodie bag. More surprises to follow!